Neu von THULE: Freistehender Ständer für bis zu zwei Fahrräder oder Bikes. Die Tragearme für die Fahrräder sind in der Höhe verstellbar und verfügen über V-förmige Fahrradhalter. The Thule BSTK2 5781 Bike Stacker is a freestanding bike-stand which supports one or two bikes. The Thule BSTK2 provides neat, and balanced mounting, with a steel construction for every style of bicycle. The BSTK2 Bike Stacker utilizes infinite adjustable bike hangers with V-shaped soft rubber holders that will not mar paint or crush cables. 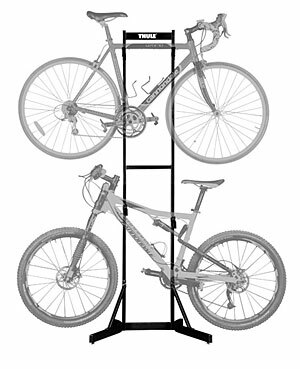 Use the Thule BSTK2 5781 Bike Stacker to store two bikes in your home or garage. 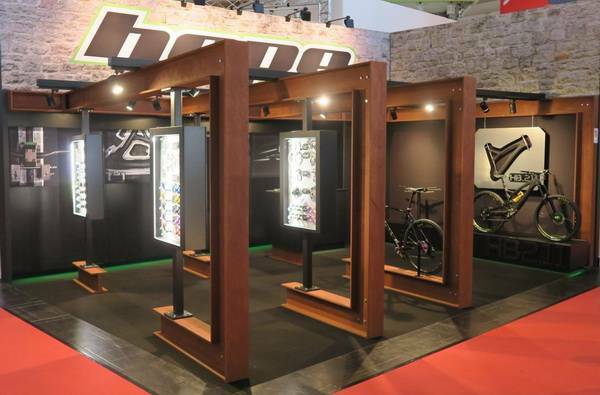 It features independent adjustment arms so you can choose the level and height for each bike. Steel construction and soft rubber bike holders securely support bikes without damaging the finish.